Do those blokes at Rovio ever have a day off to enjoy their success? Hire a yatch and party around the coast of Finland? Go skiing? It appears not as the company has just added 15 new levels to the first ever Angry Birds. The Mine and Dine update is a free upgrade for iOS and Android users. 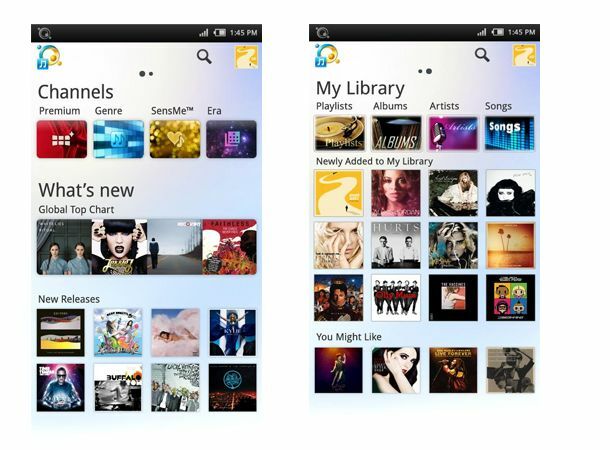 Forget iCloud, Sony's new Music Unlimited app for Android will offer cloud-storage and unlimited streaming like Spotify. The subscription-based app, which is £10 a month allows you stream over 7 million tracks and also access your own music library. After almost a year on the design table, Facebook for iPad will finally launch in a matter of weeks. The tablet-optimised app will feature full-screen, hi-res photos and a re-imagined Chat and Groups interface according to reports. Seeya Friendly, it's been nice knowing you. High street eatery (or streatery), Pizza Express has teamed up with PayPal to bring customers a payment-via-iPhone app. Your bill will now feature a unique 12 digit code, which you enter into the app and then settle-up by logging into your PayPal account. The Pizza Express iPhone app will also allow you to book a table and find a restaurant. It looks like Facebook want a slice of that juicy app pie. The company is reportedly looking to open its own app store from within the iPhone's own Safari browser. Facebook reportedly has over 80 developers on-board for 'Project Spartan' which wants to take some of the App Store's dollar from right within the iOS ecosystem. "I know a new trick," said The Cat in the Hat. This interactive story book for Android brings the Dr. Seuss classic children's tale to life in a completely new medium. The book allows kids to read along with the narrators, turn the pages, identify the on-screen characters and objects. It's a five-star app and your kids are gonna love it. With the final installment of the Harry Potter movies on the way next month, what better time to post a review of the young wizard's early years at Hogwarts... in LEGO form. Following in the footsteps of the Star Wars and Indiana Jones games, HP comes to the iPad in an enjoyable blocky adventure. Are you on a one-man quest to find the perfect pub? Then join the club. Thankfully, the Good Pub Guide 2011 app for Android is here to help. The app lists 25,000 pubs in the UK and recommends those watering holes based on a colour-coded system. Nice.